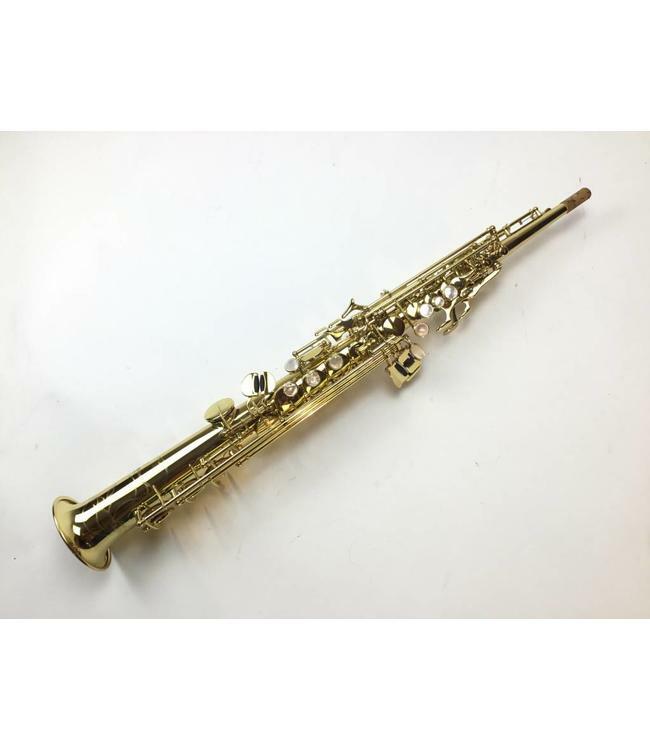 Used/Demo Yanagisawa 901 straight soprano saxophone. This horn is in like new condition. Straight fixed neck with gold lacquer. All pads and corks in nearly new condition with plastic domed resonators. Features blue steel springs. Comes with Yanagisawa hard rubber mouthpiece and original case.